Maggie Beer’s grocery food brand has suffered a $250, 000 loss for the first half of the 2018 financial year. 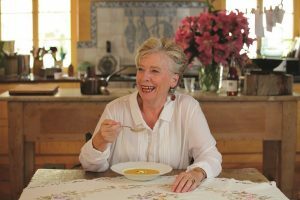 Maggie Beer’s food brand is 48 per cent owned by the Longtable Group, an emerging ASX-listed food and drink business that recently acquired Victorian dairy producer, Paris Creek. As part of the Longtable Group’s 2018 first half financial update, the group said the last six months were “a challenging period” for the Maggie Beer business. According to the Longtable Group, the Maggie Beer food brand suffered from lower gross profit margins caused by slower than expected rollout of Metcash distribution and sales distribution being skewed towards products with lower margins. The brand was also hit by an increased spend in promotions. The Longtable Group expressed hope for a turnaround saying the Maggie Beer team are now taking steps to help improve performance. Smoothie and juice chain, Boost Juice, is moving into drive-thru stores. Sydney food start up, Over The Moo, has won the national 2017 Telstra New Business Award.